A lot can happen in South African politics in four months, the time it took for Minister of Police Nkosinathi Nhleko to send his final response to a request from the Helen Suzman Foundation to provide reasons why he appointed Major-General Mthandazo Berning Ntlemeza (now promoted to Lieutenant-General) to head the Hawks. During this period, frustrated Hawks members accused Ntlemeza of frantic restructuring of the unit and making crony appointments. The foundation maintains Ntlemeza has made decisions that have been “unlawful, taken in bad faith and heavily criticised by the courts”. Many affected law enforcers, as well as Finance Minister Pravin Gordhan who has been targeted by the Hawks, will be watching the legal action closely. By GLYNNIS UNDERHILL. Even though he did not apply for the job, Police Minister Nkosinathi Nhleko parachuted 58-year old Mthandazo Berning Ntlemeza into the post of acting Hawks head from his relatively low-key position of deputy provincial police commissioner for Limpopo. Ntlemeza came under the spotlight after the highly respected Hawks head, Anwa Dramat, a former operative of the ANC’s military wing Umkhonto we Sizwe, had been suspended from his post. Tagging along with Ntlemeza to his acting post was his spokesman, Brigadier Hangwani Mulaudzi, who has laughed off suggestions that this was a political appointment. Yet Ntlemeza brazenly embarked on a fast-tracking of promotions and appointments in the Hawks, and sidelining or suspending key senior Hawks figures. Hawks members say they wondered whether he was being positioned to take up the post of Hawks head. The only thing standing in his way was Dramat, but he never returned to his post after a court ruled his suspension unlawful, and he resigned. And despite having endured an unlawful suspension, Dramat has now landed up in the dock. This will be followed by the second part of the foundation’s application, which is to seek a review and setting aside of his appointment. Yet just four days after lodging its court papers in this matter, the foundation experienced an unusual burglary or “raid” at its offices where documents and computers were seized. And on 18 March an uneasy-looking Dramat and his co-accused, former Gauteng Hawks head Shadrack Sibiya, and a former police captain, Lesley Maluleke, appeared in the Pretoria Magistrate’s Court. The trio face several charges, including kidnapping and robbery, in connection with allegations they were involved in the illegal rendition of Zimbabweans in 2010. Both Dramat and Sibiya claim they have been set up on the illegal rendition charges. Two days earlier, on 16 March, suspended police watchdog Independent Police Investigative Directorate head Robert McBride and his co-accused found themselves in the dock facing charges of fraud and defeating the ends of justice following their investigation of Dramat. Outside the Pretoria High Court, McBride questioned the evidence used to suspend Dramat over the allegations he now faces in court, and told reporters that one of the people who made a statement was not even at the scene of the alleged crime. In his founding affidavit, director of the Helen Suzman Foundation, Francis Antonie, said it was a requirement that any incumbent of the Hawks office not only be lawfully appointed and act lawfully, but also exhibit, and be seen to exhibit, the utmost independence, integrity and respect for the law. “This application concerns the proper functioning, integrity and independence of one of the most important law enforcement bodies in South Africa,” he wrote. The path to court has not been easy, as on 2 November 2015 the foundation first sent Nhleko a letter requesting full written reasons why Ntlemeza was appointed as Hawks head. It was only on 14 December that it received a letter from the South African Police Service (SAPS), purportedly under the Promotion of Access to Information Act (PAIA), requesting an extension until 13 January 2016 to deal with the request. Then came another delay. On 18 January the foundation received a request for a fee payment of R35 for a PAIA request. “Even though the request was not made under PAIA, the Helen Suzman Foundation made payment of the R35 as requested,” said Antonie in his affidavit. On 2 March this year, a letter from Nhleko was received, setting out his full written reasons for the appointment of Ntlemeza, which proved to be startling. In his letter, Nhleko outlines how the documents considered by the minister and Cabinet in making the appointment were the curriculum vitae of Ntlemeza, and a document containing the recommendation to the Cabinet – none of which were disclosed to the foundation on the basis of alleged privacy and secrecy. “It is constitutionally untenable to maintain in office a person whose appointment was plainly unlawful,” Antonie wrote in his affidavit. In his letter to the Helen Suzman Foundation, Nhleko claims that Ntlemeza was appointed as Hawks head after the post was advertised, and that he was interviewed along with four other candidates. “The committee that interviewed them unanimously agreed that Ntlemeza was a fit and proper person to be entrusted with the responsibilities of the head of the DPCI (Directorate for Priority Crime Investigation, popularly known as the Hawks),” wrote Nhleko. Antonie’s affidavit outlines how Ntlemeza has, since his appointment in September, been particularly active in restructuring the Hawks, and effecting fundamental change of personnel within the organisation. In the past four months, there have been appointments of new provincial DPCI heads in all nine provinces, as well as a deputy national head of the Hawks, explained Antonie. Ntlemeza has also been involved in high-level investigations and interrogations of current ministers, including Finance Minister Pravin Gordhan. Antonie points out in his affidavit that Ntlemeza had directed questions to Gordhan in relation to the alleged South African Revenue Service (SARS) “rogue” unit, mere days before he issued what has been called South Africa’s most important budget speech. It is not apparent on what legal basis these inquiries had been directed, said Antonie, and Gordhan had rightfully contested the legal basis upon which Ntlemeza had acted. 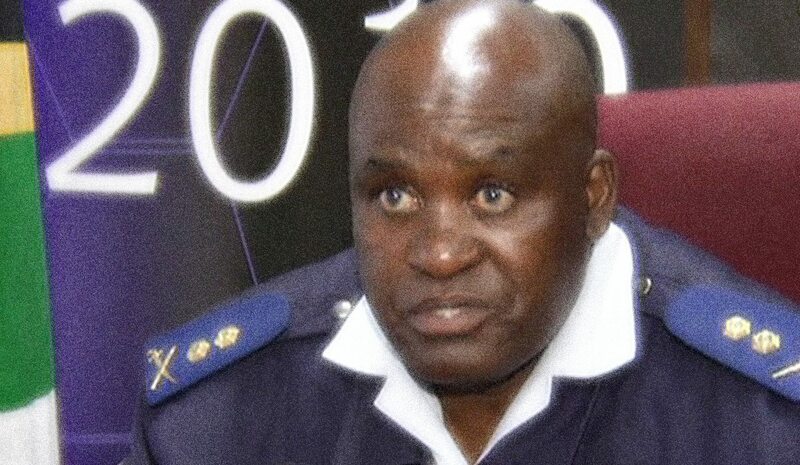 On top of this, Ntlemeza has been involved in the suspension of Gauteng Hawk’s head Major-General Shadrack Sibiya, and KwaZulu-Natal Hawks head Major-General Johan Booysen. “These suspensions have been judicially criticised and in both cases of action taken against the two crime-fighters, the courts had criticised Ntlemeza,” Antonie points out. Among the other complaints against Ntlemeza in the affidavit is that he authorised the arrest and detention in police cells of Democratic Alliance MP and former senior state prosecutor Glynnis Breytenbach, and her attorney Gerhard Wagenaar, relating to events in 2012 that Antonie said had been “thoroughly thrashed out” in National Prosecuting Authority (NPA) disciplinary proceedings three years ago. Breytenbach and Wagenaar have now been charged with contravening the NPA Act and defeating the ends of justice after they were accused of refusing to hand over an official laptop computer to NPA officials, and shredding official and private data in the computer. When they both appeared in court again this month, further charges of fraud and perjury were added to Breytenbach’s charge sheet. A key issue in the Helen Suzman Foundation case against Ntlemeza is that he was appointed head of the Hawks, despite the “scathing high court judgments against him, handed down by Judge Elias Matojane last year. The judge found no basis or law or fact for Ntlemeza to suspend Sibiya from his post as Gauteng Hawks head. This decision,” said Matojane in his judgment, was “taken in bad faith and for reasons other that those given”. “It is arbitrary and not rationally connected to the purpose for which it was taken and accordingly it is unlawful as it violates the applicant’s constitutional right to an administrative action that is lawful, reasonable and procedurally fair,” declared Judge Matojane. While Ntlemeza launched an application for leave to appeal the findings of Matojane in the Sibiya case, the judge dismissed the application. And in his leave to appeal judgment, Matojane stated that Ntlemeza was “biased and dishonest” and “lacked integrity and honour” as he had made false statements under oath. In a further indictment on Ntlemeza’s character, it was stated in this judgment that Ntlemeza “had a contemptuous attitude towards the rule of law and the principle of legality and transparency”. Which, asserts Antonie, made the decision by Nhleko to appoint Ntlemeza as the national Hawks head “unlawful and irrational”. While the Minister of Police did not indicate in his letter that the high court judge’s scathing findings against Ntlemeza were taken into account or scrutinised by him or the Cabinet before he was appointed the Hawks head, these concerns about his fitness for office will finally be thrashed out in court.